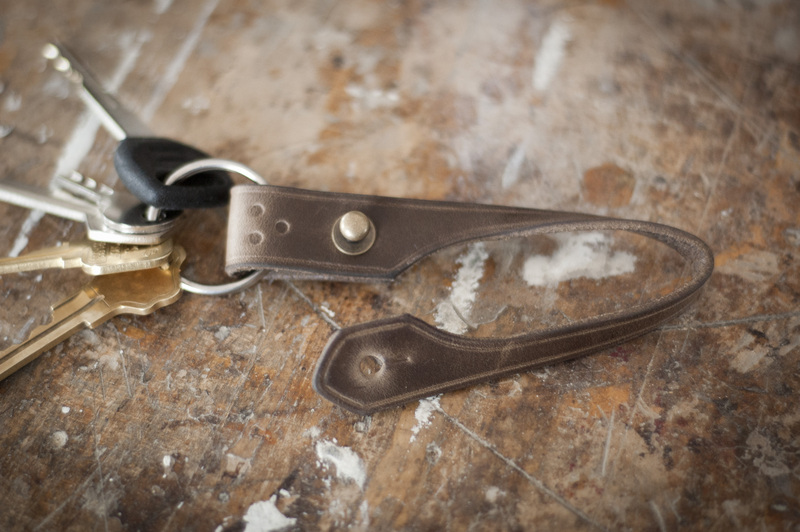 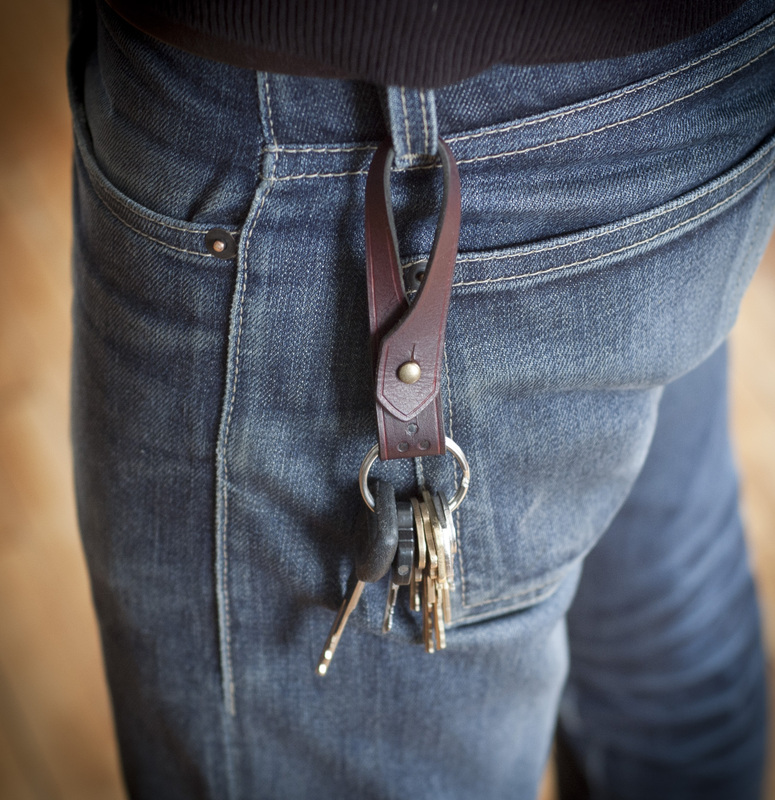 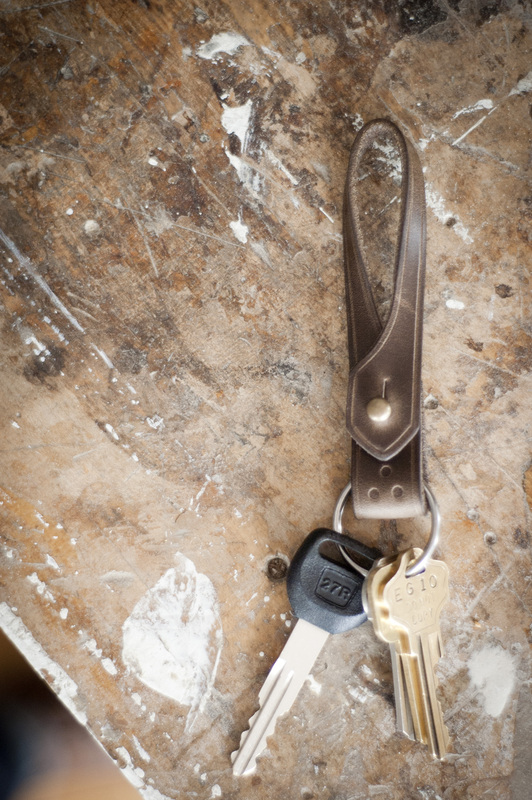 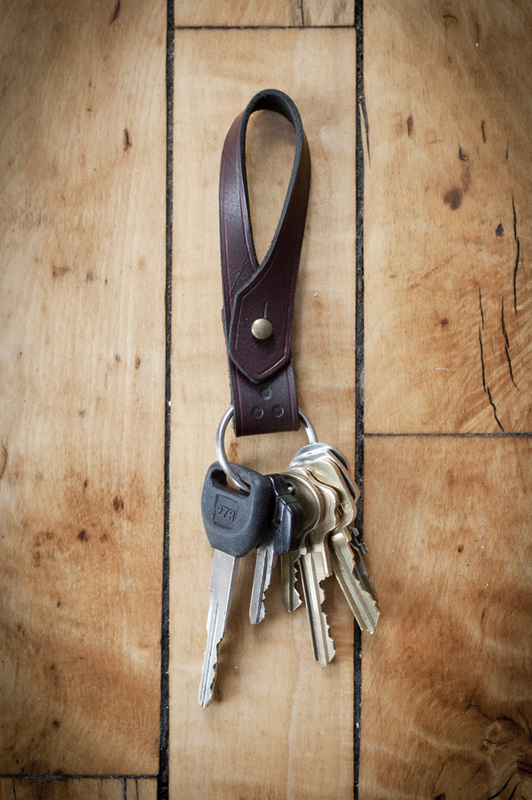 Leather keychain. 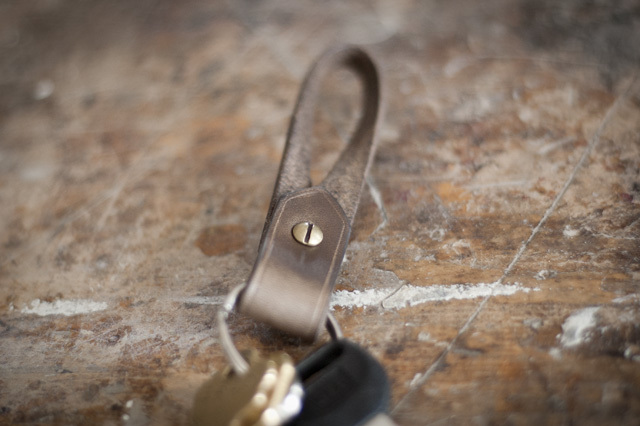 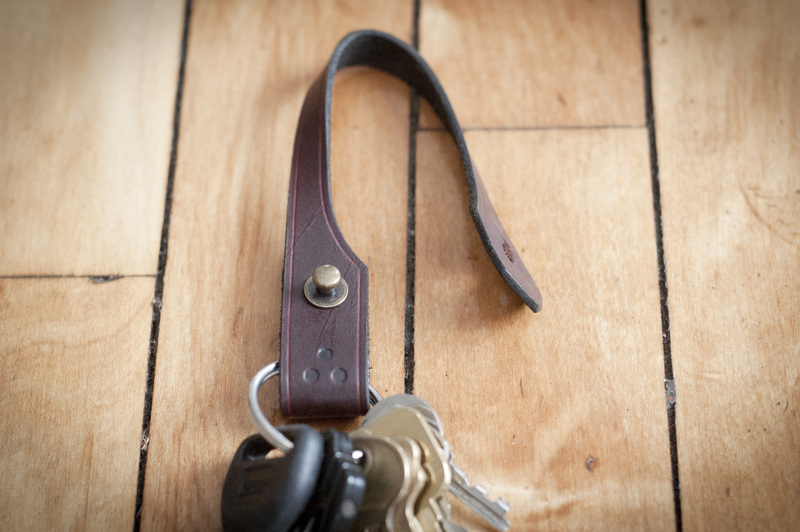 Hand-dyed vegetable tanned leather, waxed back and edges, solid brass stud. 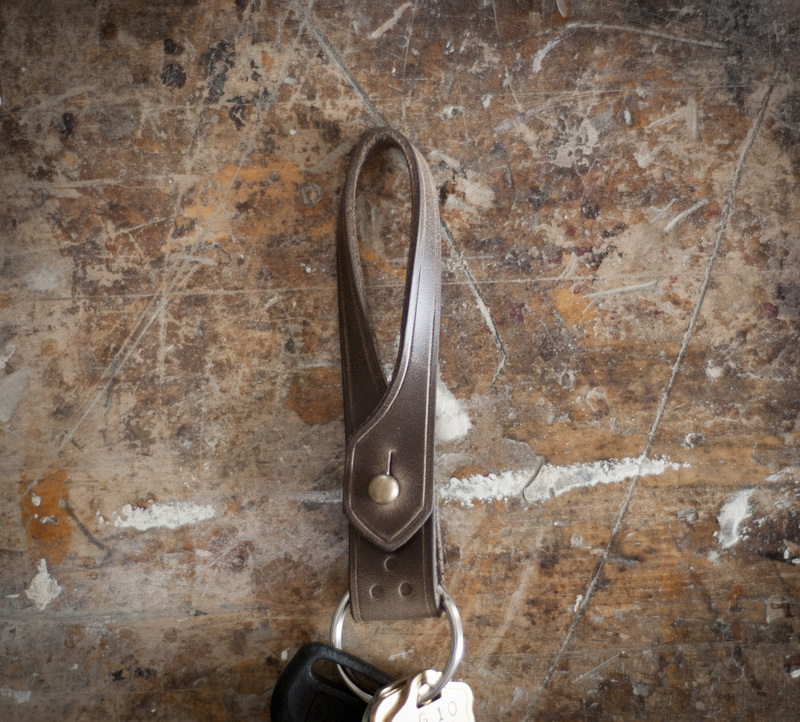 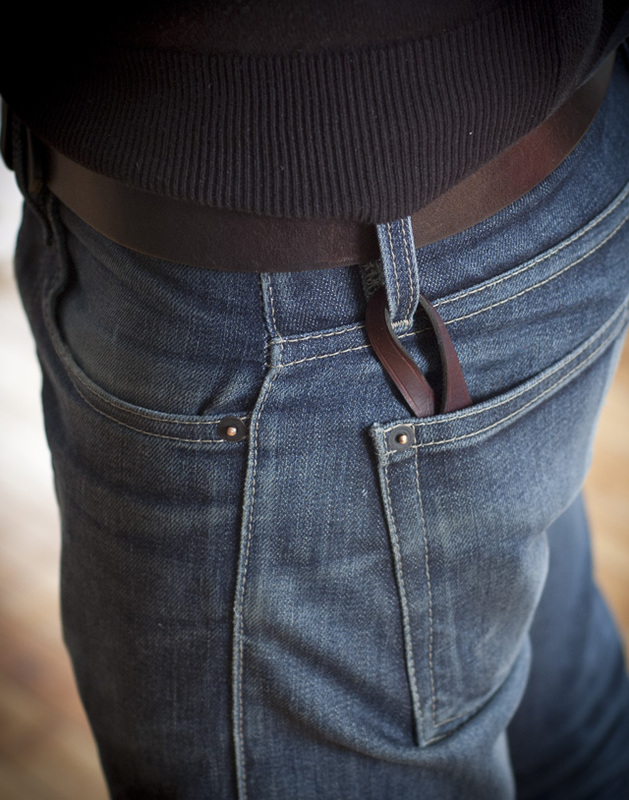 Also available in natural, tan, black, and natural Horween® Chromexcel.